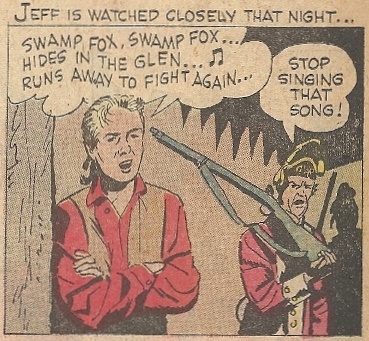 I learned the Swamp Fox theme song by heart when I was a kid. There’s nothing remarkable about this in and of itself, as kids memorize any number of TV jingles when they’re growing up. What makes this stand out is that the TV show this one came from departed the airwaves two decades before I was born. If I recall correctly, my father used to jokingly hum the theme when he and I went hiking through the woods around our house, having had it drilled into his memory when he was a kid. So it was passed on, like an heirloom, or a story told around the campfire. When something as ethereal as this is handed down from generation to generation, you know there was a bit to it. 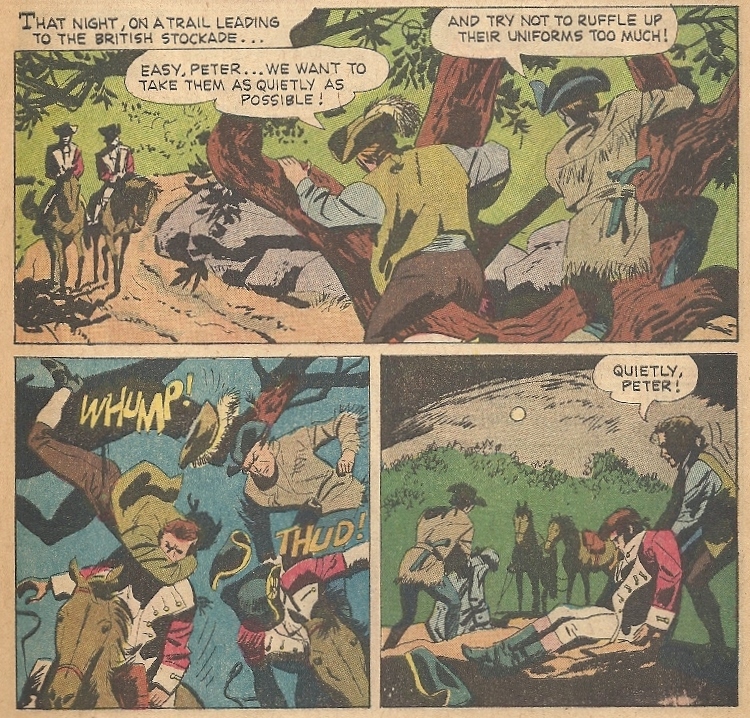 And that was the case with Walt Disney’s The Swamp Fox, a late-fifties, early-sixties series that fictionalized the real-life Revolutionary War heroics of Francis Marion, the British-bedeviling partisan of the mid-south colonies. What gave and still gives the series an added dose of notoriety is who filled the title role: Leslie Nielsen. Yes, that Leslie Nielsen. Before he got himself a second very successful farce career courtesy of Zucker, Abrahams and Zucker, the future Frank Drebin of Police Squad was a serious dramatic actor — with hair that wasn’t white as snow. (he had a career path twinned by the similarly silver-maned Lloyd Bridges.) As Marion, Nielsen was solid, stolid and somewhat staid, betraying no hints of the comedic gifts he’d display in the latter stages of his career. This was thespian Nielsen, the same one who auditioned for the role of Messala in Ben-Hur. 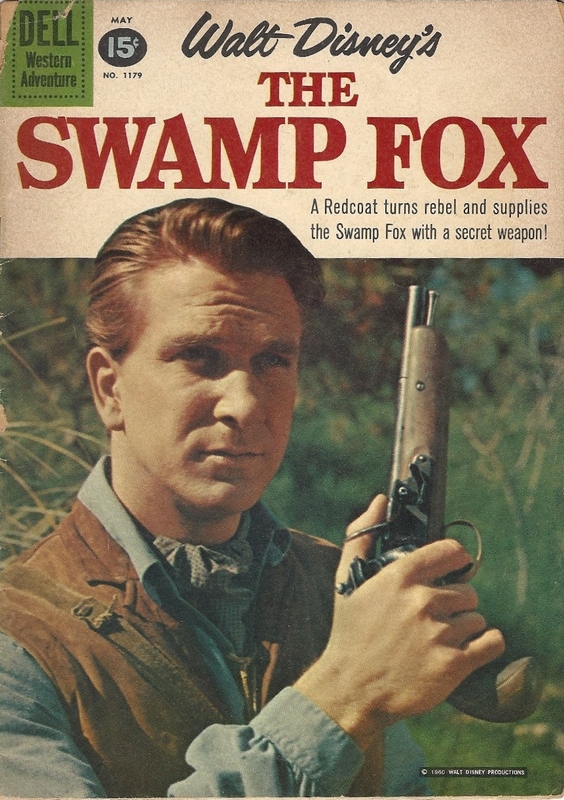 The Swamp Fox only ran for eight episodes, but was a sterling example of quality over quantity. If you’ve never seen it, it’s definitely worth you tracking down, whether on DVD or online, if for no other reason than to acquaint yourself with the non-zany side of the dear departed Mr. Nielsen. And one thing is guaranteed if you do indeed watch it: you’ll find yourself humming that theme. ← Screw the Apple Watch, get yourself a Captain America wrist radio!